Join Thai Bodywork founder Chuck Duff as he takes you on a two and a half-hour journey through therapeutic Thai massage treatments. 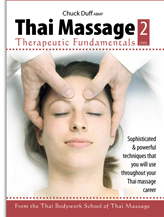 One of four titles in the Thai Bodywork Massage Series, this video program integrates aspects of Northern, Southern, Royal and Jap Sen (nerve touch) styles, with extensive anatomical and energetic background, and brings Chuck’s expert therapeutic insights to life. Comprehensive 2.5 hour Thai massage program that integrates aspects of Northern, Southern, Royal and Jap Sen (nerve touch) styles, with extensive anatomical and energetic background. Each technique is explained carefully, and supported with close-ups and animations showing the energy lines and points used. Emphasis on body mechanics, using core energy and sensitivity to the body's language, and places each technique in context as to its relationship to Sen lines, effects on specific muscles and pain conditions. Practical benefits of Chuck’s therapeutic focus, guiding you on how to work with specific issues of pain or dysfunction. Learn the fundamentals of Clinical Thai Bodywork (CTB), an outgrowth of Duff’s own very successful practice and research. CTB combines the techniques of Traditional Thai yoga with the insights of myofascial trigger point therapy, osteopathic principles and acupoints, and is a highly effective treatment for pain and dysfunction. Learn how to integrate Thai massage techniques into your practice to avoid the pitfalls Western style therapists often experience due to an over-reliance on strength. Thai massage can save your hands and give new life to your career, particularly as Chuck teaches it. View sequences that can be performed intact, or learn specific segments can be integrated into your existing practice. Chapters arranged for easy reference and review. Since 2001, Chuck Duff has trained hundreds of basic and advanced practitioners in Thai Bodywork and Massage. Integrating his extensive background in Buddhist studies, martial arts, yoga, and western clinical approaches, Chuck's Thai Massage DVD series offers massage and bodywork professionals a unique understanding of body mechanics, of movement without effort, and the use of core energy in healing. 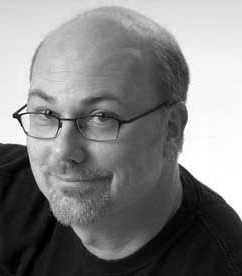 Chuck is also a Tools for Touch™ Webinar presenter, including the Nov. 5, 2012 webinar. Chuck is a certified Thai massage instructor and founder of the Thai Bodywork School of Thai Massage, an NCBTMB approved provider of continuing education. Chuck produced his Thai Massage DVD series based on his work developing and teaching Clinical Thai Bodywork, (CTB) a modality he created that blends the techniques of Thai yoga massage with the insights of Myofascial Trigger Point, acupoint work and a structural analysis of body function. This therapeutic modality (CTB) is highly effective in reducing or eliminating patterns of pain and restruction, often in cases that have failed conventional medical treatment. Chuck's teaching emphasizes body mechanics, using core energy and sensitivity to the body's language, and places each technique in context as to its relationship to Sen lines, effects on specific muscles and pain conditions. Chuck became a Certified Thai Therapist and Certified Thai Instructor (CTI) at the Luma Center with Dr. Anthony James, who was among the first individuals to practice and teach Thai massage in the US. He is certified as a Luk Pra Kob (Thai herbal compress) therapist by the Thai Ministry of Health in Bangkok. He pursued advanced studies in Thai massage and herbal compress application with Khruu Lek Chaiya in Chiang Mai, Thailand and Aachan Tawee of Wat Wiangkolok, Chiang Rai province, Thailand. Chuck joined the faculty of Pacific College of Oriental Medicine in 2003, where he teaches Thai massage within the Oriental Body Therapies program. He also teaches on-site workshops for spas and private groups throughout the country. 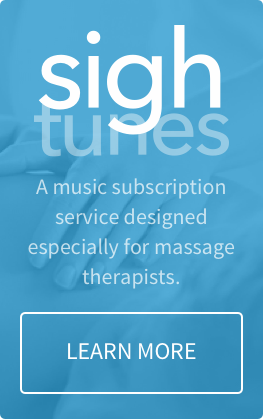 Click here to read a Q and A with Chuck, A Sporty Summer: Ancient Greeks, Olympics + Thai Massage at the Tools for Touch™ blog.